The husband and wife in this Monroe County, Tennessee, case were married in 1998 and had one child, who was 16 years old at the time of the 2017 divorce trial. In 2016, the wife filed for divorce on the grounds of irreconcilable differences and inappropriate marital conduct. Judge J. Michael Sharp ordered the parties to mediation, but they were unable to settle the case. Instead, trial was held in September and October 2017. After hearing several witnesses, Judge Sharp issued his final order. With respect to alimony, the trial court found that the wife had an income of about $45,000, and that the husband had an income in excess of $90,000. The wife was granted the divorce on the grounds of the husband’s inappropriate marital conduct, but adopted the husband’s proposed parenting plan. The court set child support based upon the parties previous three year’s income, arriving at an amount of $748 per month. The court also divided the marital property. This included the marital residence, a double-wide mobile home located on property purchased by the wife prior to the marriage. The court ordered the property appraised, with the wife receiving the underlying value of the real property. The home and fixtures were divided between the parties. The wife was also awarded alimony in futuro of $1,100 per month. She was also awarded half of her attorney fees. In particular, the trial court found that the wife’s earning capacity was about half the husband’s, and would probably remain so. It also cited pension and retirement plans held by the husband which were greater than the wife’s. 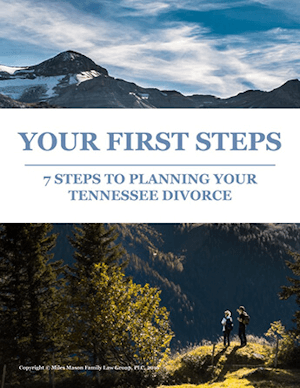 The husband then appealed to the Tennessee Court of Appeals. 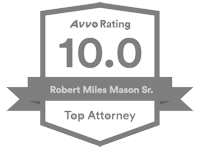 He argued that the alimony award was inappropriate, and that the wife should not have been awarded the real property as her separate property. The husband first argued that the award of alimony was improper because it had not first calculated child support. The appeals court agreed that the calculation of alimony before computing child support was premature. While the trial court normally has considerable discretion when it comes to alimony, the appeals court held that the child support computation could have affected the final outcome. Therefore, it vacated this portion of the order and remanded the case. Because the appeals court resolved this issue first, it did not need to consider the husband’s other arguments with respect to alimony. With respect to the real property, the appeals court found the lower court’s reasoning unclear. The property was originally the wife’s, but the appeals court ruled that the lower court should have considered whether adding the mobile home and other fixtures. Since the lower court’s reasoning was unclear, the appeals court was compelled to remand this issue as well. For these reasons, the Court of Appeals vacated and remanded the case. Costs of appeal were assessed to both parties. No. E2017-02357-COA-R3-CV (Tenn. Ct. App. Oct. 30, 2018). 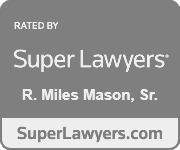 TN property and alimony rulings needed further explanation, appeals court rules.